Well, it’s almost Thanksgiving again. And you know what that means: time to start thinking about Christmas! December is always an exciting movie month. Its when the less explosion-y blockbusters come out, and the small movies that normally wouldn’t get much publicity finally get the spotlight. This looks like a particularly good December that will hopefully make up for some of the more lackluster months of 2013. Come on Hollywood, this is when you get to show everyone that movies are still relevant! As a director, Ben Stiller has become more and more ambitious. “Walter Mitty” looks more serious than funny, and I know that Stiller is up to the task, both in front of and behind the camera. Mostly, this looks like an exciting adventure story that could appeal to just about anybody. There is something about Sean Penn’s weird finger summoning that makes me crack up every time I watch the trailer. However, I will forget I ever saw this, because “Walter Mitty” also stars Adam Scott, who plays a huge d-bag in it. Adam Scott seems like such a nice guy, but he also plays d-bags better than just about anybody else. I am willing to forgive Spike Jonze for “Where the Wild Things Are,” partly because this is the same guy who also directed “Being John Malkovich” and “Adaptation.” Also, “Her” looks so strange yet so fascinating. Joaquin Phoenix falls in love with a computer voiced by Scarlett Johansson? Relevant social commentary? No further questions. Sure, America didn’t need a sequel to “Anchorman.” But Americans also don’t need most of the things that we have. I would be lying though if I said that I didn’t shriek with excitement the moment I saw the first trailer for “Anchorman 2: The Legend Continues.” To put it simply, “Anchorman” might just be the comedy of my generation; ask just about anybody my age about it and they will immediately start to quote it by heart. “Anchorman” is to the ’00s what “The Jerk” was to the ’70s and “Airplane” was to the ’80s. * Comedy sequels do have a bad habit of getting it wrong. For now, I am confident that “Anchorman 2: The Legend Continues” won’t be anything less than hilarious. 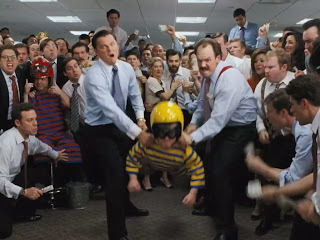 Finally, it is safe to say that “The Wolf of Wall Street” will be released in 2013, and will also be eligible for the 2013 Oscars**. More importantly though, I will finally get to see “The Wolf of Wall Street,” which I have been anticipating for months. Here’s a story of Wall Street corruption that will probably be a lot more entertaining (or certainly funnier) than “Wall Street.” I mean, there’s flying midgets and a chimpanzee in roller skates. 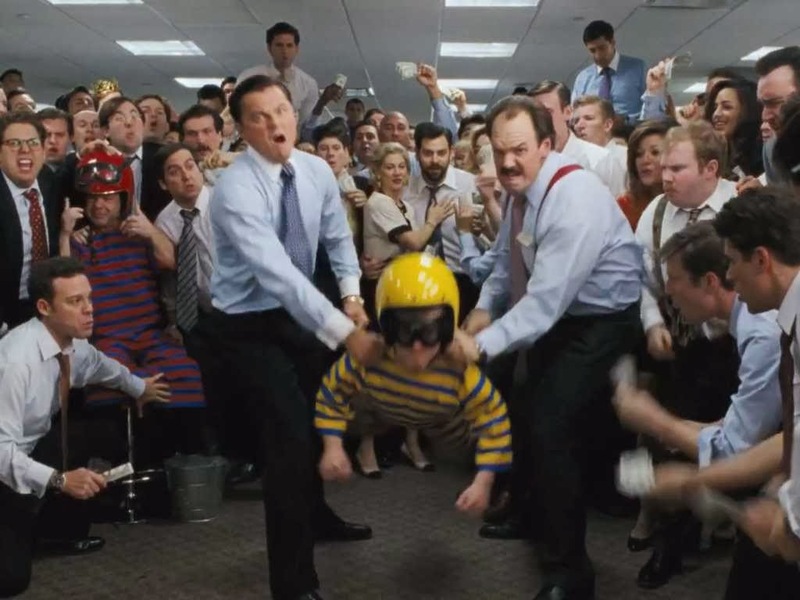 Reportedly, “The Wolf of Wall Street” is three hours long, which would make it the longest film Martin Scorsese has ever directed. 46 years into his career, and Scorsese still finds ways to top himself. Joel and Ethan Coen. That’s about all it takes for me to get excited for a movie. To make it even better, “Inside Llewyn Davis” is about the Greenwich Village folk scene in the 1960s. Then, to make it even even better, this marks yet another collaboration between The Coen Brothers and John Goodman, who haven’t done a movie together in years. If there’s one thing that the Coen Brothers are definitely good at, it’s directing John Goodman in a period piece. Did everyone in the ’60s have facial hair? *Maybe those aren’t the right movies for those times. I am just assuming they are. Maybe its actually “Animal House” for the ’70s, and “Ghostbusters” for the ’80s? Somebody please confirm. **Good! Getting a gold statue of a bald man handed out by an old bald man is the most important thing in life! But really, I want an Oscar. Where can I buy one? This entry was posted in American Hustle, Anchorman 2, Ben Stiller, David O. Russell, Inside Llewyn Davis, Jennifer Lawrence, Leonardo Dicaprio, Martin Scorsese, Secret Life of Walter Mitty, The Coen Brothers, The Wolf of Wall Street on November 26, 2013 by ian0592.